On January 1, we were out in the bush on the Cambodian border, in these big foxholes—what they call a two-company perimeter, with artillery. We’d set up a kind of a quick LZ, and for some reason all the packages for Christmas arrived on the 1st. I was opening all these beautiful things that were sent from home, from Mom, from my friends. Then the night came—and that was some night. We got hit with a two-battalion human-wave attack by the NVA. That was a hell of a way to start the year. 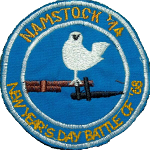 A new date for the latest Historical Airsoft event from the NAMSTOCK series has been settled on. 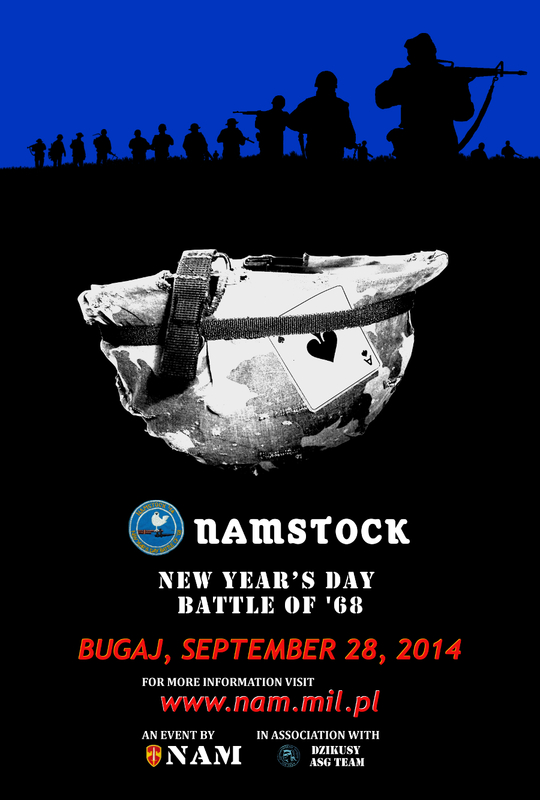 New Year’s Day Battle of ’68 will take place on the Sunday, September 28, 2014 in Bugaj near Poznań at 10:00 AM. The historical background of the meeting is the battle that began on the evening of January 1, 1968 in the Tay Ninh Province. The engagement, overshadowed by the Tet Offensive, was later dramatized in the movie Platoon by Oliver Stone who had also participated in the skirmish. The event is organized with the assistance of the „Dzikusy ASG Team” Association. More details for English-speaking Airsoft fans are available at the NAM Facebook fanpage as well via e-mail. Content © NAM – Airsoft and historical reenactment team from Poznan. "Ever Watchful" theme by Nicki Faulk adapted by TULAB.